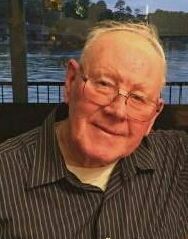 STERLING – Curtis D. Varney, 89 of Sterling died Thursday, March 22, 2018. He was born on January 12, 1929, in Sterling the son Elmer and Frances (Curtis) Varney and was a veteran of the Korean War having served in the US Army. He married Rosemary Blase on August 11, 1957 in Oregon, IL. She died July 12, 2005. He later married Ramona (Rice) Elmendorf on December 28, 2007, in Rock Falls. Curtis had farmed his entire life on the family farm in rural Prophetstown. Even into retirement, he enjoyed going out and working on the farm. He was a member of the Tampico United Methodist Church and the Farm Bureau. He enjoyed restoring and collecting antique tractors (Ford). Up until a few years ago he also enjoyed roller skating. Survivors include his wife, Ramona; his children: James Varney of Rockville, MD, Kathleen (John) Relias of Arlington Heights, IL and Lisa Anne (Brian) Nielsen of Sycamore, IL; his step daughters: Judy Elmendorf of Dixon, Mona (Richard) Ashford of Dixon and Billie Jo (Todd) Johnson of Greenwood Village, CO; step sons: Donald (Linda) Elmendorf of Dixon, Michael (Brook) Elmendorf of Franklin Grove and Thomas (Jodi) Elmendorf of Dixon; 6 grandchildren; 2 great grandchildren; 16 great grandchildren and 20 great grandchildren. He was preceded in death by his parents; and two sisters: Doris Varney and Dorothy Moews. Visitation will be Tuesday, March 27, 2018, from 9 – 11 AM and the funeral at 11 AM at the Tampico United Methodist Church. Burial with military honors will conclude at Riverside Cemetery in Prophetstown. A memorial will be established.